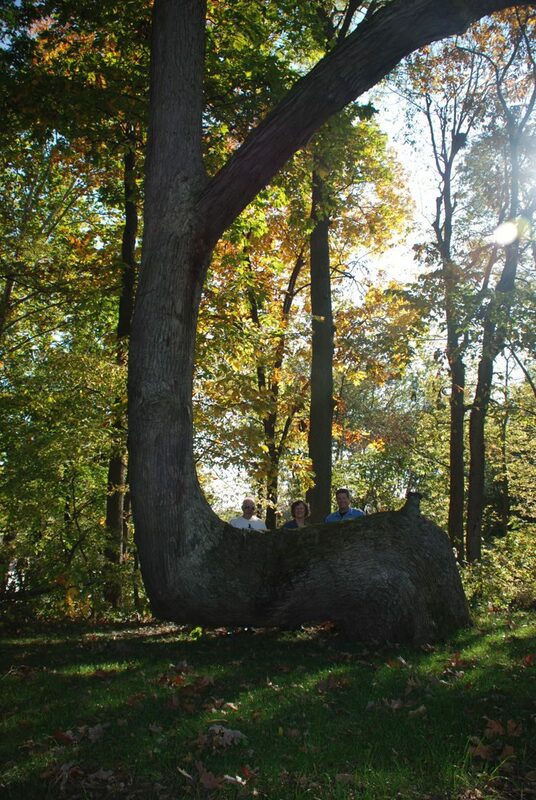 Growing up, artist Dennis Downes heard stories about the native tribes that once lived around the Great Lakes, how they used bent trees as markers to find hidden trails that granted safe passage through the forests. It made sense; the horizontal bend several feet above ground was sharp enough to be visible from great distances, even in snow, but he couldn’t find any real evidence of the trees’ purpose anymore. So he started digging deeper. During his investigation, Downes came across the writings of Raymond E. Janssen, a geologist who worked in Illinois during the 1930s and 1940s. 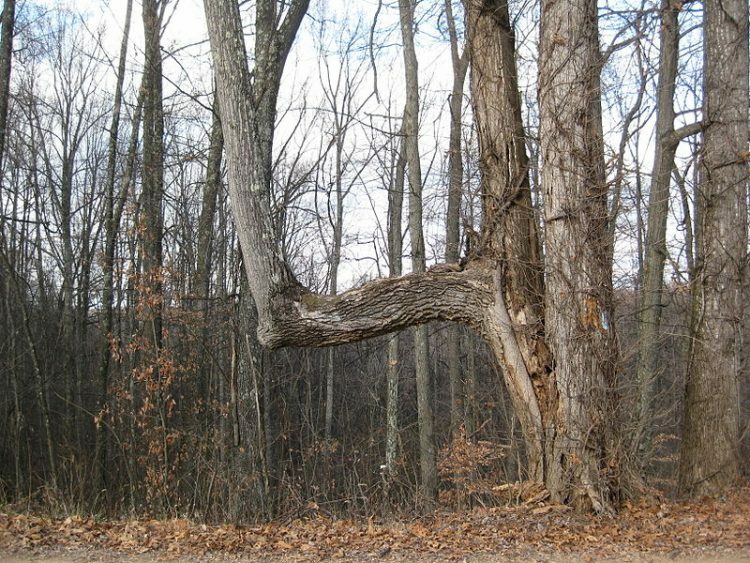 Like him, Janssen was fascinated by the deformed trees he had spotted in the woods, and had traveled to 13 states trying to learn more about them. He concluded that these trees could not all have acquired their distinct shape simply by accident and described them as “cultivated artifacts”. “Among the many crooked trees encountered, only a few are Indian trail markers. The casual observer often experiences difficulty in distinguishing between accidentally deformed trees and those … purposely bent by the Indians. Deformities may occur in many ways. 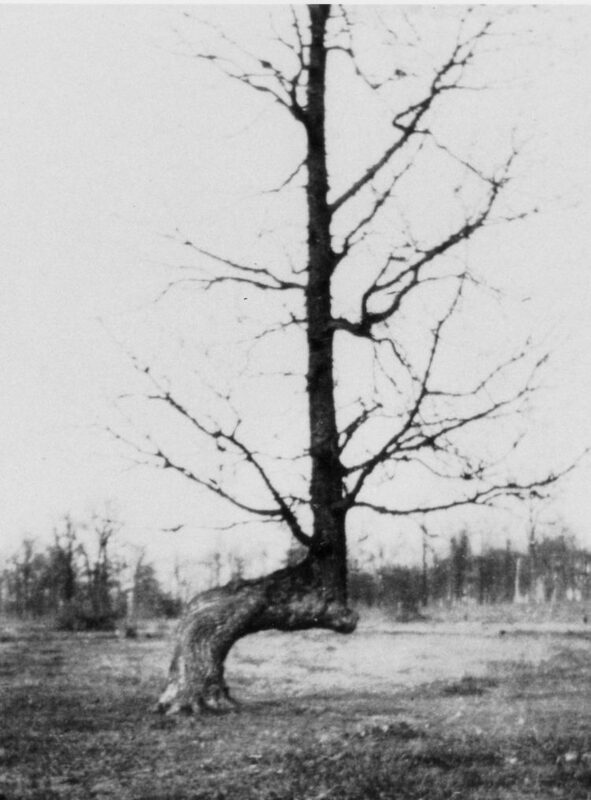 A large tree may fall upon a sapling, pinning it down for a sufficient length of time to establish a permanent bend,” Janssen stated in one of the four articles he wrote about the trees. Lightning may split a trunk, causing a portion to fall or lean in such a way as to resemble an Indian marker. Wind, sleet snow or depredations by animals may cause accidental deformities in trees. However, such injuries leave scars which are apparent to the careful observer, and these may serve in distinguishing such trees from Indian trail markers. Downes, a sculptor and a painter, started traveling through the US himself, hoping to unravel the mystery of the bent trees. He found plaques where marker trees had once stood, old photos and slides of them, and tribal elders who told him stories about how their ancestors once used the trees to find their way around. 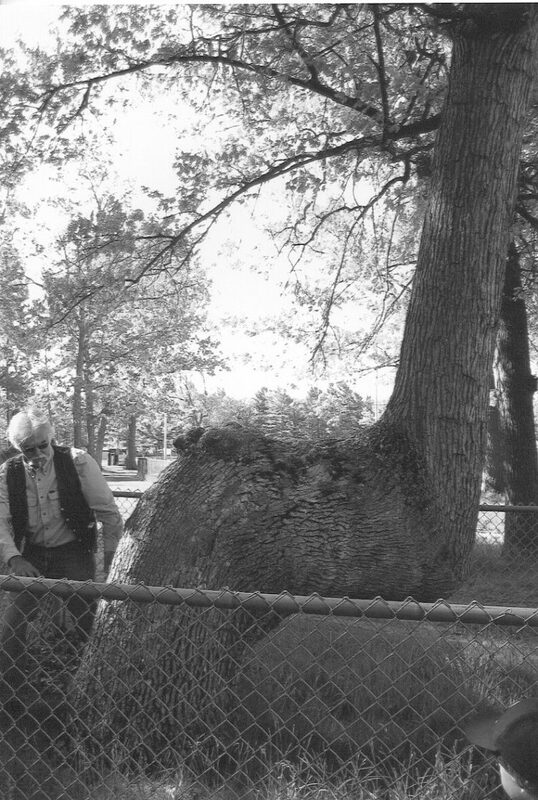 Earl Otchingwanigan, a professor emeritus and Smithsonian consultant, showed Dennis Downes a tree that had been bent in 1933 by two 70-year-old native men who had learned the practice from their ancestors. It was anecdotal evidence like this that convinced the artist that at least some of the trail trees had been bent on purpose a long time ago. Many in the academic community still doubt that the trees were bent by natives to serve as markers, but Downes and other amateur researchers are convinced that this network of trail trees were indeed purposely shaped this way. “There are still skeptics out there, mostly in the academic community. I’ve talked to enough elders, that I know what the truth is. I just ignore them,” said Don Wells, whose Mountain Stewards group has been finding trail trees in Georgia since 2003. “I will not say every bent tree in the forest is a trail marker tree. If there are only a few hundred of these unique living artifacts left, that’s enough,” Downes told Atlas Obscura. The problem is that the number of trail trees has been dwindling over the last few decades. 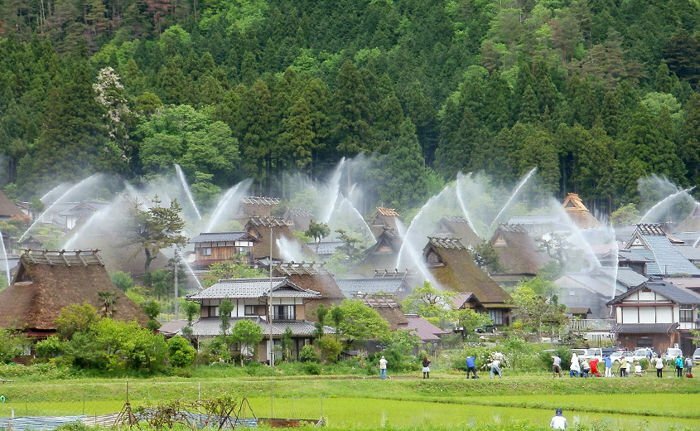 Most of them have been cut down to make room for growing cities, towns or for roads, while others have been damaged by the elements or surrendered to old age. And with no one left to bend new saplings, their number is only going to go down as time goes by. Luckily, some have been given landmark status by local or native communities, so at least they won’t be chopped down anytime soon. That still doesn’t protect them from disease and the passing of time, though.